The Staff Selection Commission has released the fresh vacancies over 5,000 for the recruitment of GD-constable. Therefore, candidates who wanted to apply for the recruitment then, candidates are having the golden opportunity for this bumper recruitment drive. 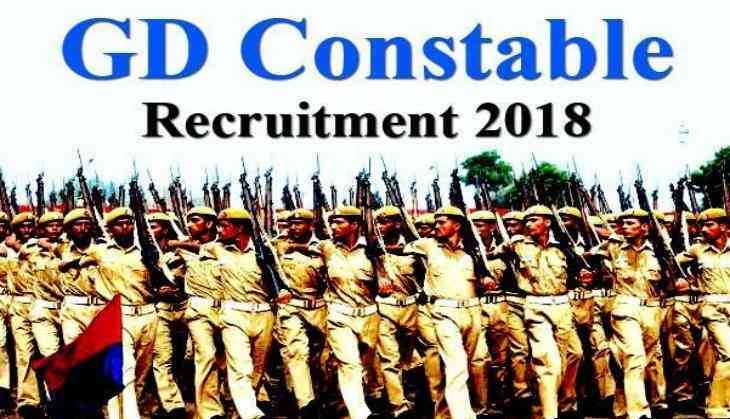 According to the official website, eligible candidates can apply for the vacancies released by SSC for the recruitment of GD-Constable vacancies in BSF, CRPF, SISF, SSB, NIA, ITBP, AR and SSF Forces. Therefore, candidates are advised to apply for the vacancies released by SSC. The minimum educational qualification required for the post is Class 10th degree or matriculation from the recognized board or institute. Candidates who have not completed the essential educational requirement for the recruitment till 1st August then they are not eligible for the post. Candidates will have to pay only Rs 100 through SBI Challan/SBI Net Banking or by using Visa, Mastercard, or Maestro Card or Debit Card. The minimum age limit for the candidates is 18 years and the maximum age limit to apply for the SSC GD Constables is 23 years. While the age relaxation will be given to the SC, ST, OBC and ex-servicemen as per the government norms.